Whilst biophilic design is encroaching rapidly into many aspects of office interiors, desking and benching has hitherto remained pretty much untouched. Sure, we’ve had wooden desks for as long as civilization but for most of that time wood was the easiest or most cost effective way of doing it. 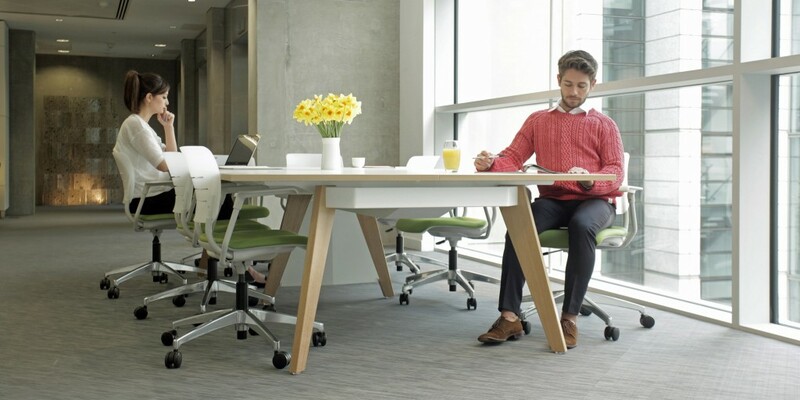 Most modern desking uses metal understructures with an MFC top; an evolution of the traditional. Truly biophilic design is of course really about using natural products and materials for no other reason than to make us feel better in the environment in which we work. Following this philosophy is KI with their new EC4 bench and table range. Combining the elegance and robustness of solid oak and steel, KI’s EC4 collection adds a touch of nature to the modern office landscape. 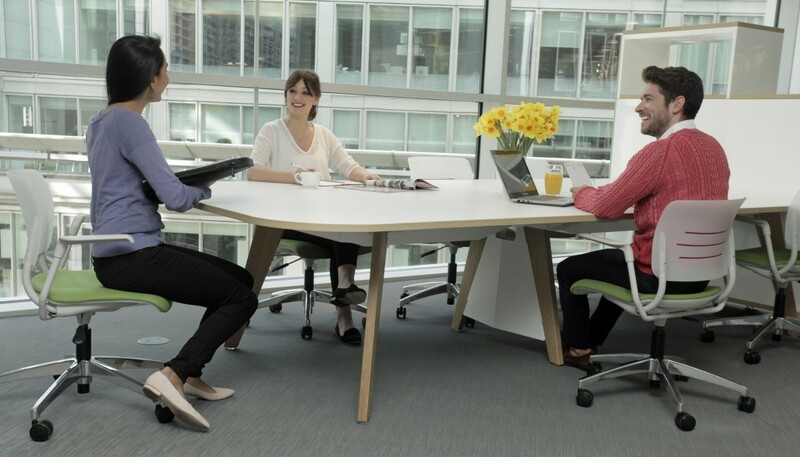 EC4 provides all the capabilities of a workstation system but introduces solid oak into the understructure and a matching laminate edge detail. The splayed, angular legs are somewhat reminiscent of Jean Prouvé designs and directly connect to the main metal understructure that features an integral cable trough. Optional cable riser angled infills sit between the intermediate legs. 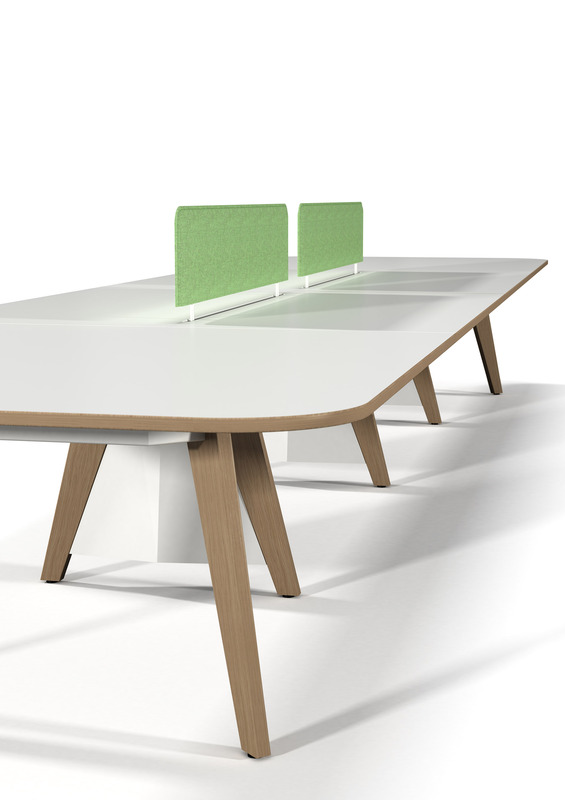 As well as benching, the range extends to touchdown spaces, meeting tables and an executive desk. Oversailing end options create space for informal meetings. The refreshing mixed material aesthetic can also be extended to EC4’s complementary storage collection through the use of accents, colours and solid oak feet.